We’ve recently shared with you some information related to the new fad drugs that are currently legal. With more kids ending up in the emergency room, there are more and more details surfacing about danger of these drugs. In our recent article Rub-a-dub-dub, Drugs in my tub? We told you a little bit about the latest fad drug, bath salt, which has been banned in Europe and is now getting the attention of teens in America. Recent articles say that this drug is much worse than the other fad drug, fake marijuana, K2 or Spice. According to Dr. J Ward Donovan, central Pennsylvania’s go-to doctor for emergency room physicians on poison questions, since November he has averaged a call a day about bath salt or “synthetic cocaine.” Donovan says that synthetic cocaine is really a synthetic amphetamine like product, meaning its chemical makeup is more similar to meth. Unfortunately blogs and internet message boards talk about the legal substitute for cocaine becoming all the rage. Being high on fake cocaine has some similarity to the high from smoking synthetic marijuana. The difference, Donovan said, is this: A mild reaction to bath salt is comparable to a bad trip of K2. Bath salts also come with side effects like delusion, confusion, violence, agitation, high blood pressure, sweating and fast heart rate. According to Donovan, there is one upswing. You can’t get addicted to it. 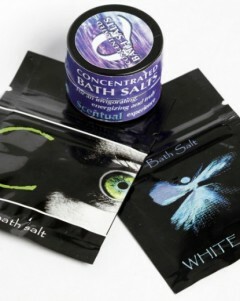 Like synthetic marijuana, bath salts are being sold in head shops. The powdery white substance is priced by the gram and looks like cocaine. Both synthetic marijuana and bath salts are extremely dangerous. Be smart. Just because something isn’t illegal doesn’t mean it is harmless. There are a lot of unsafe substances out there. These new fad drugs are just two examples. Get Educated: Learn as much as you can. Have the Talk: Let them know that you know. Be Specific: Tell your kids what you see and how you feel about it. Don’t Make Excuses: You’re not helping if you make excuses for why they miss school or family functions if you suspect drug use. Remain Calm: Don’t get mad, or start accusing. Be firm, but loving. 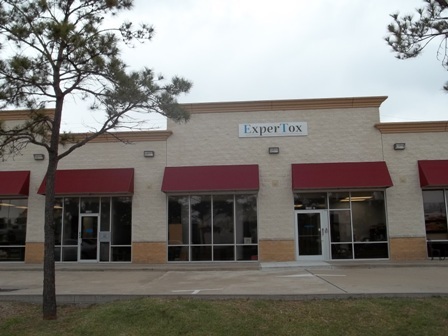 Read more about the new bill being brought to the Texas Senate this week. It is the most comprehensive bill in the country! The U.S. government recently took action on the new fad drug, “fake pot”. The chemicals that form this new drug are sold in head shops and on the Internet, marketing the drug toward teens and young adults as incense. A blend of herbs laced with synthetic marijuana, known popularly as K2, is being sold openly. K2 often sends users to hospitals with symptoms varying from soaring heart rates to paranoia to near-death experiences, according to health professionals. K2 has become popular with people that have regular drug screenings because the substance does not show up on drug tests. Little is known about the long-term effects of the legal substance, also known as Spice, Demon, Genie, Zohai and a host of other names. Authorities believe K2 could have been behind the death of an Iowa teen that committed suicide shortly after smoking it. “At least with pot you know what it is,” DEA spokeswoman Barbara Carreno said. “You have some idea how potent it is and you know how it affects you. With these things, you don’t know what you’re getting. The Drug Enforcement Administration is taking action by launching a 30-day investigation to possibly put these chemicals in the same drug category as heroin and cocaine. DEA spokeswoman Dawn Dearden says law enforcement will be using chemical tests to determine which products violate the ban and will focus on distributors, not individual users. The American Association of Poison Control Centers have reported receiving more than 1,500 calls from 48 states about products spiked with these chemicals.